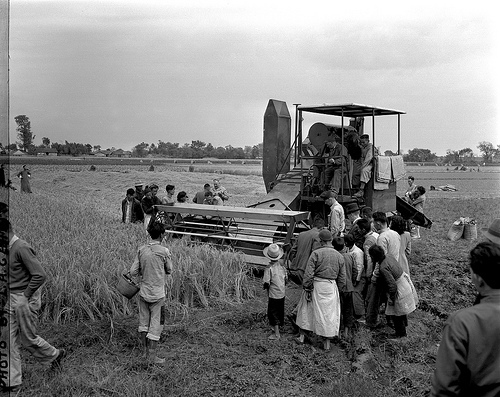 The field of China history evolved rapidly after the McCarthy attacks on the field in the 1950s. The most significant developments, in my view, are these. First, there developed in the 1960s and 1970s what Paul Cohen refers to as a “China-centered” approach to the study of the history of China (Discovering History in China: American Historical Writing on the Recent Chinese Past ; 1984). The central notion here is the idea that historians of China need to analyze China’s history making use of concepts and hypotheses specific to its own experience. Cohen puts the point this way: “The main identifying feature of the new approach is that it begins with Chinese problems set in a Chinese context. . . . [These] are Chinese problems, in the double sense that they are experienced in China by Chinese and that the measure of their historical importance is a Chinese, rather than a Western, measure” (Cohen 1984, p. 154). Rather than asking whether China experienced “sprouts of capitalism” in the Ming Dynasty, we need to consider the distinctive features of China’s economic development. Rather than considering whether China was a “feudal” society, we need to identify and conceptualize the specific features of political and economic relations that linked elites and the common people. The point here is not that China’s history is unique and sui generis, but rather that one should not presume that the categories of politics, social structure, and historical process that emerged as central in the unfolding of early modern Europe will find natural application in the historical experience of China. The concept of feudalism is not a trans-historical category which should be expected to have application in every process of historical development. Bin Wong pushes this view further in his China Transformed: Historical Change and the Limits of European Experience . Third, China studies have moved in the direction of local or regional studies rather than national histories. Issues arising out of consideration of the village rather than the capital city have come to the fore: the village, the marketing hierarchy, and the region have come to define the focus of inquiry. Scholars are suspicious of generalizations about China as a whole; rather, local and regional variations are the focus of research. It is recognized that lineage is more significant in the south of China than the north; that rice cultivation imposes a series of social imperatives in the south that are absent in the north; that regions linked by water transport show an economic and social integration often lacking in administratively defined units (provinces); that millenarian Buddhism is a powerful factor in the political culture of Shandong but not in Sichuan; and the like. Huaiyin Li’s Village China Under Socialism and Reform: A Micro-History, 1948-2008 is a good example of this kind of detailed local study. Finally, the influence of the social sciences in the field of Chinese history has been of great importance. Much (though of course not all) of the most productive historical research on China in the past two decades has made substantial use of the tools of social science to construct explanations of Chinese historical processes. Techniques drawn from historical demography, economic geography, and the study of organizational behavior have substantially increased our understanding of China’s history. Work by James Lee and numerous collaborators on China’s demographic history provide good examples of the fruitfulness of this approach; Life under Pressure: Mortality and Living Standards in Europe and Asia, 1700-1900 (Eurasian Population and Family History) . Here are a few topic areas that have proven to be particularly important. Spatial organization of culture and economy. China studies have been strongly influenced by the insight that there is a critical spatial dimension to processes of social, political, and economic change. In his groundbreaking work on marketing hierarchies and the regionalization of traditional China, G. William Skinner has demonstrated the key role that transport systems, central place hierarchies, and physiography play in China’s history (link, link.) Skinner’s work has been remarkably influential in the China field; among his contributions, two are especially important. First, Skinner undercut the village-oriented perspective of much existing research on peasant China by putting forward an analysis of the central place hierarchy that exists among cities, market towns, villages, and hamlets in traditional China (Skinner, G. William. 1964-65. “Marketing and Social Structure in Rural China.” Journal of Asian Studies 24(1-3)). These hierarchies are knit together by transport systems and the circulation of products, traders, craftsmen, martial arts instructors, necromancers, and other itinerant folk. This is an important contribution because it suggests stimulating hypotheses about the mechanisms of popular culture, the transmission of ideas, the movements of peoples, the diffusion of new technologies, and other fundamental aspects of social change. The second signal contribution contained in Skinner’s work is his regionalization of China into nine “macroregions,” each of which is analyzed in terms of a core-periphery structure (The City in Late Imperial China; 1977). This construct incorporates the structure of marketing hierarchies into the analysis and adds the notion that the economic processes implicit in urbanization impose a structure on rural society as well. Urban cores create a demand for resources (firewood, food, raw materials) that extend economic influence into peripheral areas. These ideas have a number of important implications for agrarian studies more generally. First, the spatial organization of settlements–villages, towns, and cities, and the transport and marketing networks that connect them–has important consequences for diverse aspects of rural life. Ideas, political movements, and knowledge are diffused through marketing system channels. Itinerant merchants, artisans, letter writers, necromancers, fortune-tellers, or martial-arts instructors travel the circuits defined by the marketing hierarchies; and through these travelers results movement of ideas, products, rumors, skills, and innovations. Environmental history. There are numerous examples of recent works that give central focus to environmental and ecological issues in China’s history. Environmental issues come in a number of forms in Chinese history, including especially water management, land reclamation, and deforestation. As Skinner points out, there is a strongly spatial orientation to each of these sets of issues: water systems constitute one of the lineaments determining patterns of settlement; land reclamation and deforestation follow population density (and therefore tend to correspond to a core-periphery structure, with a transfer of fertility from periphery to core). An important treatment of the human impact on the Chinese environment is Peter Perdue’s study, Exhausting the Earth: State and Peasant in Hunan (Perdue 1987). Perdue’s study focuses on Hunan, 1500-1850, and places primary emphasis on the processes of agricultural change, land reclamation, and water control through which the landscape of Hunan was dramatically altered throughout this period. The struggle between the state and local interests over such issues as taxation, land reclamation, dike building, and land property rights is highlighted. What is most original about the book is Perdue’s success in identifying the consequences for ecology and land and water management of the political and economic processes involved in Hunan’s substantial growth during this period. Perdue documents the slow process through which land reclamation efforts and dike-building nibbled away at Dongting Lake (now China’s second largest lake). The state played an important role in stimulating this process in the Ming dynasty; in the Qing, Perdue indicates that the private interests of local elites and landowners were the driving force for continuing encroachment on wetland and lake margins. More recently Mark Elvin’s The Retreat of the Elephants: An Environmental History of China provides a broad treatment of China’s environmental history over a longer and broader scope (link). State-society relations. State-society relations play an important role in many contemporary studies: to what extent, and through what mechanisms, is the state in a pre-modern society able to effect its will on its population? This question is particularly salient in the case of China because of the somewhat paradoxical role that the Imperial state plays in Chinese history. The Imperial system is often portrayed as weak and ineffectual; at the same time, it is the embodiment of a refined and sophisticated administrative apparatus. To what extent was the Chinese state able to carry out its essential functions–the extraction of taxes, the preservation of order, the suppression of social unrest, the maintenance of large-scale water projects, and the administration of central grain policies? These issues impact on agrarian histories in diverse ways: mobilization of peasant unrest is affected by the extractive behavior of the state, on the one hand, and the effectiveness of the state’s coercive apparatus, on the other. In Rebellion and its Enemies in Late Imperial China: Militarization and Social Structure, 1796-1864 Philip Kuhn emphasizes the limitations of the grasp of the imperial state in his analysis of the local and regional responses to the Taiping Rebellion. “Local militarization posed acute problems for the imperial state; for if irregular military force could not be regularized and brought under control, if the widespread militarization of local communities could not be brought into a predictable relationship to the state, then the security of the state itself might soon be shaken” (Kuhn 1980, p. 9). There was a logic to the process of the state’s diminishing capacity to effect its will in response to rebellion. “The Ch’ing military establishment lent momentum to the downward spiral of dynastic decline: the worse the troops, the longer it took them to quell an uprising; the longer it took them, the greater the cost; the more impoverished the government, the lower the quality of imperial administration and the greater the frequency of revolt” (126). On Kuhn’s interpretation, the local militarization that occurred in response to the Taiping Rebellion had a permanent effect on the balance of power between center and periphery in Chinese politics. In his study of state-society relations in North China, Culture, Power, and the State: Rural North China, 1900-1942 (1988), Prasenjit Duara emphasizes the “state-making” processes that were underway in the late Qing. Duara’s analysis focuses on the end of the Qing dynasty and the turn of the twentieth century in North China; Duara attempts to comprehend the variety of institutions, elites, and influences through which political power was wielded at the village level. The state was earnest in its efforts to penetrate rural society to the village level, and Duara examines the efforts made to extend the administrative structures of the state into the system of lineage and local power relations which had traditionally dominated village society. Intermediate between studies of the Imperial state and local agrarian histories is the effort to discern the “patterns of dominance” exercised by Chinese local elites (Esherick and Rankin, eds., Chinese Local Elites and Patterns of Dominance, 1990). Studies by Keith Schoppa, Mary Rankin, Phillip Kuhn, and William Rowe provide instances of in-depth efforts to identify the historical identities of Chinese elites, rural and urban, and some of the mechanisms through which these elites endeavored to influence local society. The core-periphery analysis mentioned above has been found fruitful as well in analysis of banditry, rebellion, and smuggling. The grasp of the state tends to be weakest in peripheral areas with difficult terrain (mountains, deserts, marshes), sparse settlement, and poor transport networks; and consequently anti-state activities find natural refuge in such areas. Vivienne Shue’s The Reach of the State: Sketches of the Chinese Body Politic is an important contribution to this topic. Other topics. Most recently the China field has been interested in the “involution” debate, culminating in Huang (The Peasant Family and Rural Development in the Yangzi Delta, 1350-1988 ), Pomeranz (The Great Divergence: China, Europe, and the Making of the Modern World Economy. ), and Wong and Rosenthal (Before and Beyond Divergence: The Politics of Economic Change in China and Europe ) (link, link, link). And, of course, there is a very large historiography of the Chinese Revolution and the Cultural Revolution. Several earlier posts provide discussion of post-1960s treatments of the Chinese Revolution; link, link. These topics are certainly not exhaustive. I’ve said nothing here about cultural and identity studies; studies of ethnic minorities in China; popular culture; and much else. But the field is large, and it is worthwhile for the non-specialist to have at least a rough map of some of the large pathways explored in the past forty years as historians have sought to make better sense of China’s history.